Before there is something, there isn’t quite nothing, because there is always the possibility of something. This is the blank page, empty but waiting to be filled. In Norse mythology, the blank page that waited to be filled was known as Ginnungagap. Ginnungagap is the yawning chasm, the bottomless abyss, the primordial void. It wasn’t exactly empty. Strange mists flowed through the void. In the north, the mists gathered to become the intensely cold Niflheim. To the hot south, they became Muspelheim, land of fire and home to the demon, Surtr. Deep within the mists lay the Well of Life, Hvergalmir, and ice was gathering over top. That grinding ice was filled with life and the first two beings came into existence. Ymir, father of all ice giants, great and terrible, was created alongside Audumla, the magic cow who licked the salt from the ice and in turn fed Ymir with her milk. While Ymir drank from Audumla, the magic cow’s raspy tongue uncovered more beings from the ice. The first one to be released was Buri, first of the Norse gods and grandfather to Odin, who with his brothers would slay Ymir. As time went on, the world tree was planted and the broken body of Ymir was used to craft the nine worlds of Norse cosmology, and the chaos of Ginnungagap found structure. Though in the final battle of Ragnarök, the fire demon, Surtr, will return the cosmos to a state of possibility, we can enjoy life today. In writing, or any creative endeavor, we know this cycle well. In the beginning, we have little more than possibilities and a blank page. 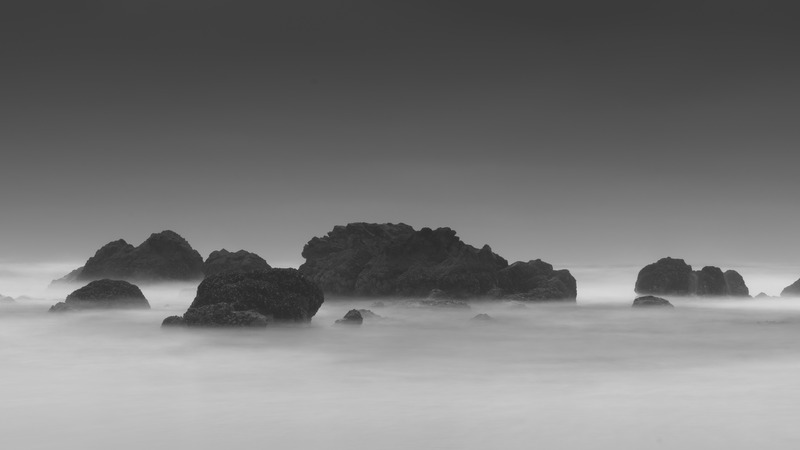 But as the mists swirl over our creative well, the ideas take shape and we give them life. To one end of our mind, we are tempted to burn what we have created and to the other extreme we want to lock it in a drawer and freeze it in time. But if we can find the balance to let the well do its job, we l’ll have a project worth crafting. At first, our idea is a monster, a father of ice giants. But along with our Ymir, we have a magic cow slowing licking our good ideas to life. In time, those good ideas will triumph over the bad ones, allowing us to build a world from Ymir’s bones, skull-cap, and eyebrows (seriously, Odin and his brothers used every part to create our world), and a better story comes to life. It all starts with a blank page, with Ginnungagap. Next time, we’ll look at how to protect our creations during the final battle of Ragnarök, or as it is known to writers, the submissions process. What are you willing to give up for your writing? In Norse mythology, there’s this story about Tyr, the god of war. The story actually starts with Loki, a recognizable name due to Marvel’s Thor and Avengers films, but the historic Loki was far more devilish than Tom Hiddleston’s onscreen version. In the myths, Loki was a distant cousin turned blood-brother of Odin, the head of the Norse pantheon, and in the early days of the world, they would travel and have adventures together. But one day, Loki’s true nature reveals itself and he elopes with a giantess named Angrboda (literally “She Who Bodes Anguish”), leading to the birth of three monster babies: Hel, a half-dead witch who is placed in charge of the underworld; Jormungand, a sea-serpent large enough to encircle the earth; and Fenrir, a wolf that frightens even the most powerful gods of Asgard. Once Hel and Jormungand are dispatched, the gods of Asgard decide they need to do something about Fenrir, but only Tyr, the god of war, is brave enough to go near the beast. In an effort to contain Fenrir, the gods challenge the wolf to be bound by a series of chains in order to show off his strength. Fenrir easily breaks all chains but the last one, Gleipnir, which was forged with magic by the dwarfs of Svartalfheim with incredibly rare ingredients (the beard of a woman, the sound of a cat’s footsteps, the breath of a fish, and so on). But when Tyr approached Fenrir with Gleipnir, the wolf smelled a ruse. So before he agreed to be bound with the magic chain, Fenrir demanded that one of the gods place a hand in his mouth as a measure of goodwill. If the god in question breaks the wolf’s trust and truly binds him instead of merely testing his strength, then that god loses his hand. And in the time when these myths were told, it was equally dishonorable to be an oath-breaker as it was to be maimed. For Tyr, the safety of all of Asgard was at stake, so he bravely volunteered, knowing that it would cost him his hand and he would be dishonored in the process. Thus it was that the Norse god of war lost his sword hand, but Asgard was kept safe until the final battle of Ragnarok. As writers, we are gods of war against the blank page, fighting with our words to bind our story into a safe and marketable form. But if we want to make use of our magical chains, we need to be willing to make some sacrifices. 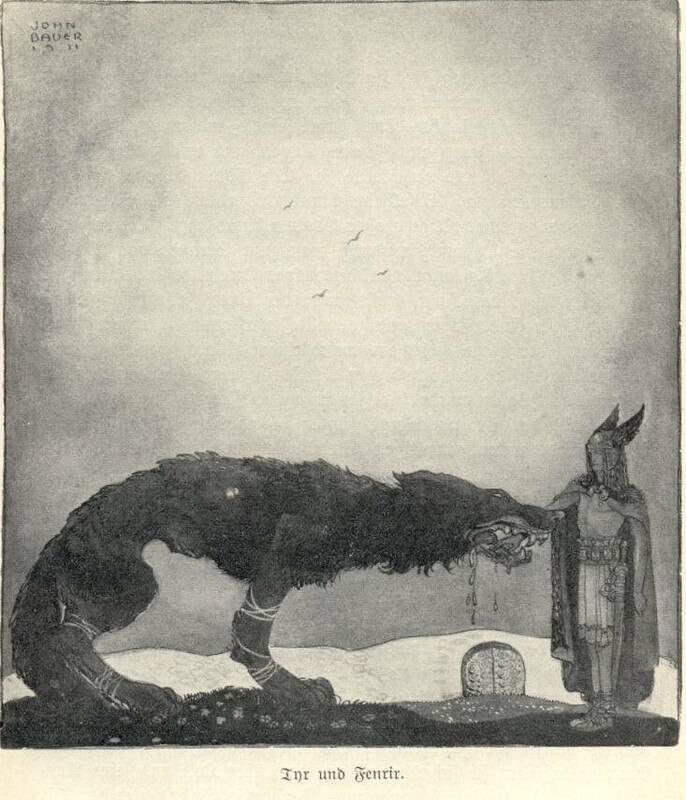 Tyr risked shame and the loss of his hand to bind Fenrir. What are you going to give up in order to get your story into shape? Unfortunately, sacrifices are never easy. We often have to give up good things in the pursuit of something better. Just like Tyr was the only Norse god who could handle Fenrir, you are the only one who can write your book. So stick your hand in the mouth of the beast and don’t look back until you’ve chained yourself a completed manuscript! Bio: Josh Mosey is an avid fan of Norse mythology and a member of the Weaklings writer’s group which organizes the Jot writers conference. Come see Josh’s presentation “Write Like a Viking: Fiction Writing Tips from the Norse Gods” at the Breathe Conference on Saturday afternoon. Have you ever refused the altar call at church camp? I did. Read all about it over here.